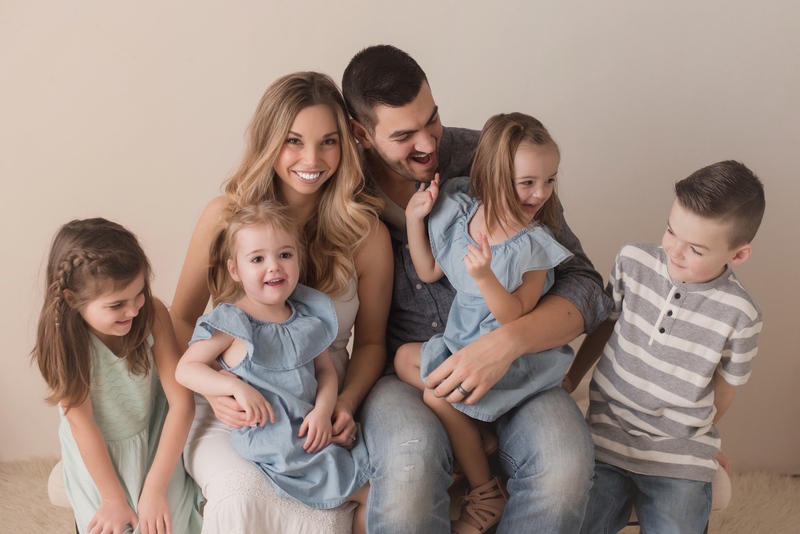 A couple of years ago, around when our twins, (which were our third and fourth kids), were approaching their first birthday, my husband Mike and I got very real with each other and admitted that our marriage was in trouble. What once was a high school friendship, turned romance, turned happily married couple, had rotted away to arguments and nastiness towards each other. 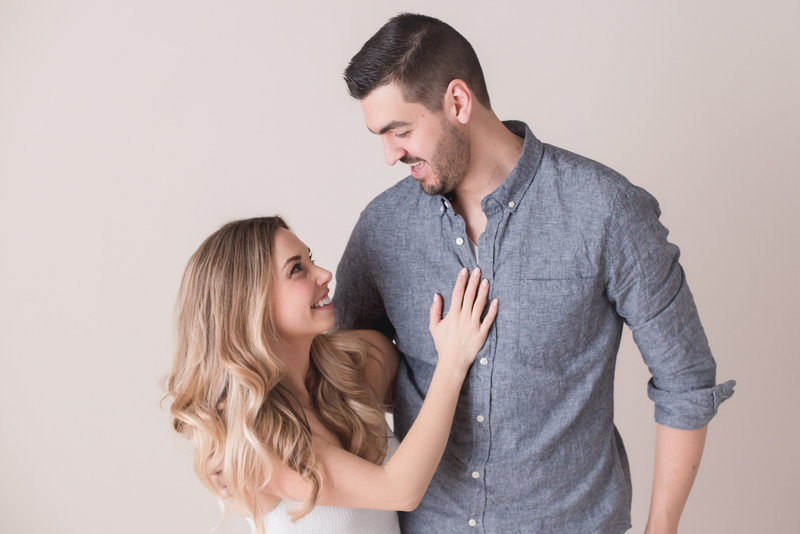 We had struggled to keep our heads above water, while we rode out the baby-stage with four kids, all while completely neglecting our relationship. After admitting that although we hadn’t fallen out of love with each other, we were at war with the other person, we decided to reprioritize our life and make sure we carved out time for us each week, including dating each other again. Read ‘Why I am dating my husband again’ here. Something happened this weekend that made me realize just how far we’ve come and one of the most important shifts that we have made in our marriage. Our weekend started as planned, excited about some tree planting we were going to do and simply cleaning up our yard. We had a big pile of topsoil delivered on our driveway and were ready to go. We began our Saturday morning dividing tasks. I went grocery shopping with two kids, and Mike went to dispose of some junk from our yard with the other kids. 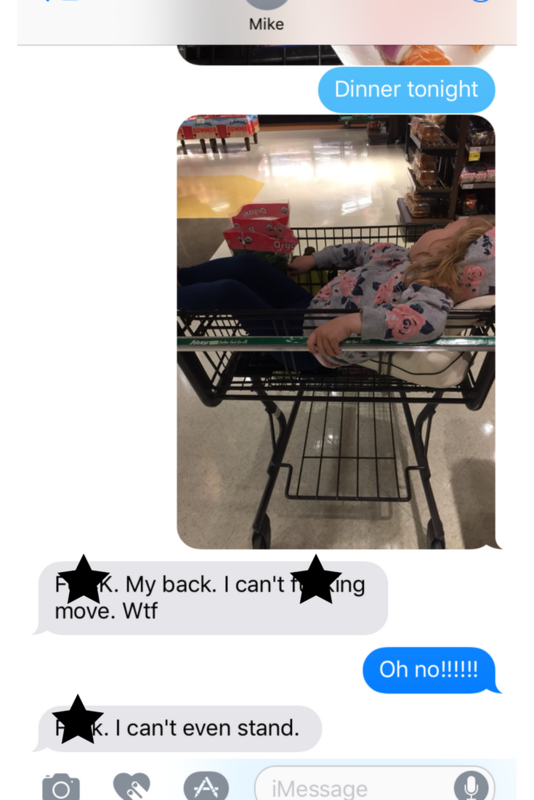 As I was paying for our groceries, smiling as I watched our kids play so nicely, I started to receive texts from Mike that he had injured his back… bad. I wrapped things up at the grocery store and raced home. Apparently he had been lifting some wood, in (what he admits) was the wrong way, and injured his back to the point where he fell. Mike has had some back problems for sometime, but this was different and we knew it. The day had been shifted and he was now heading to the hospital to see what damage was done. Mike felt terrible, that he had done this to himself, that he couldn’t plant the trees and he thought he had ruined our weekend. A calm came over me, and I quickly shifted my expectations and moved into double parenting mode, making sure Mike knew that I wasn’t upset and that our focus was now to heal his back. As the weekend played out, much more exhausting than I had expected, (I never truly realized how much Mike does each weekend), as Mike constantly apologized as he watched life from the couch, I came to a realization that two years ago I would have reacted very differently. Two years ago I would have been pissed. Two years ago I would have been annoyed that Mike lifted wood the wrong way, wrecked our weekend, and slowed our home improvement schedule. It seems totally absurd, but it’s true. But I didn’t feel annoyed. I felt compassion, and I wanted to show as much kindness as possible. I wanted to take everything off of his plate so that he could focus on himself. Here’s the thing, when we went through some really stressful years, from just before we became parents, to six years in, we forgot how to be kind to each other. We had an underlying anger and neither of us really knew why. The best explanation I can think of is that we were burnt out, generally unhappy, and forgot how much we cared about the other person. Instead we just blamed. Date night each week is like hitting the reset button. We leave our house without any big plans and just enjoy each other’s company. We listen to each other, all about their week, without one interruption from our kids. We have a pow wow about whatever needs some extra attention, whether it is our finances, or a struggling child. We are each heard. This undivided attention has not only reminded each of us why we are such a great match, but how we can support each other daily, by simply being kind to one another. Don’t forget to subscribe to our YouTube channel so that you don’t miss a video!